Did you know London has housed at least four of the most legendary stones in the World? Read on to learn their stories and where you can see these timeless relics. 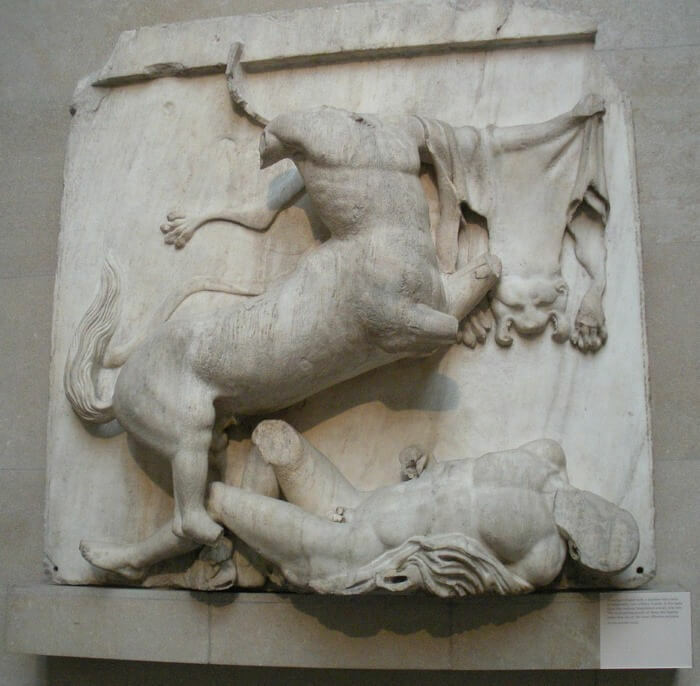 The Elgin Marbles are a collection of Classical Greek sculptures that once adorned the temple of the Parthenon in Greece. Each year millions of people feast their eyes on this timeless piece of art lit under the spotlights in the British Museum. So how did these Marbles get to London? Well, in 1801, a Scottish nobleman Thomas Bruce bought them to London from Greece, then ruled by the Ottoman Empire. The removal of these ancient sculptures from Greece has long been controversial with critics terming it as an act of vandalism. There has been several demands in recent years for Britain to return it to its rightful place. You can see this beautiful sculpture at the British Museum. The nearest Tube Stations are: Tottenham Court Road, and Holborn. Legend has it that the destruction or removal of London Stone will spell the fall of the British capital. Maybe, that’s why a huge supermarket was built on top of it to keep it secured in place. 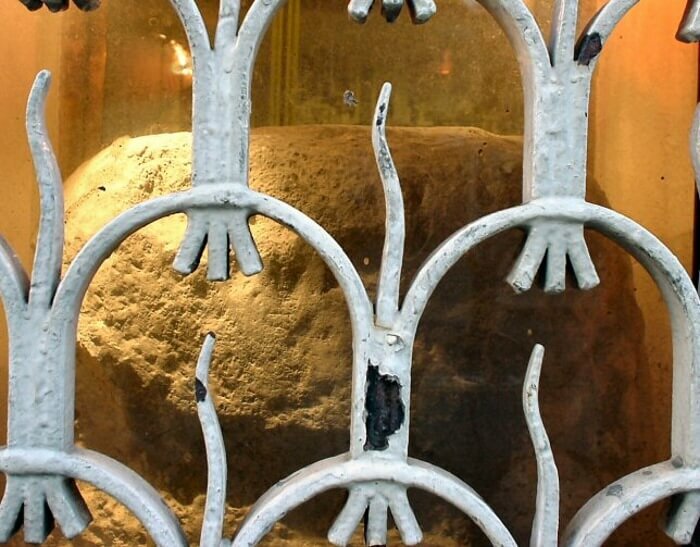 This sacred London Stone spent much of its recent years lying underneath WHSmith’s branch at 111 Cannon Street. Now the Museum of London has been tasked to ensure the grade-II listed relic remains in London. Unfortunately, not much is known about its origins or use. There are stories about the mysterious rock having been used by the Druids as an altar. Some claim it was brought back from Troy by Brutas. For all we know it’s just a stone and, like all stones do, has ancient origins. Check the stone out at the Museum of London. The nearest Tube Stations are: Barbican, Moorgate and St. Pauls. 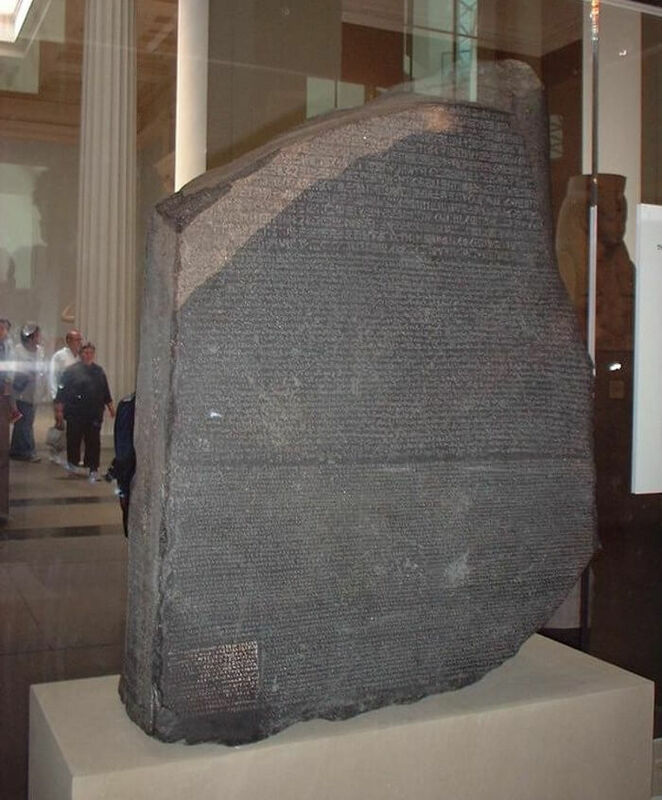 Yet another relic that can be seen in London but belongs elsewhere, the Rosetta Stone is an ancient Egyptian slate that bears a decree made on behalf of King Ptolemy V in BC196. In medieval times, the stone was used to construct Fort Julien, near the Egyptian town of Rosetta. It was rediscovered by French troops in 1799 before falling into the British hands in 1801 when British troops defeated the French in Egypt. The contested stone has been on display at the British Museum in London ever since. Go and see the mesmerizing piece at the Museum. The nearest Tube Stations are: Tottenham Court Road, and Holborn. The Stone of Destiny, that once adorned the Westminster Abbey in London, has symbolized the Scottish monarchy and coronation of kings for hundreds of years. Legend dictates that it was used as a pillow by the Patriarch Jacob when he dreamt of Jacob’s Ladder. Revered as a sacred object it was believed to have been brought first to Ireland, then Scotland. 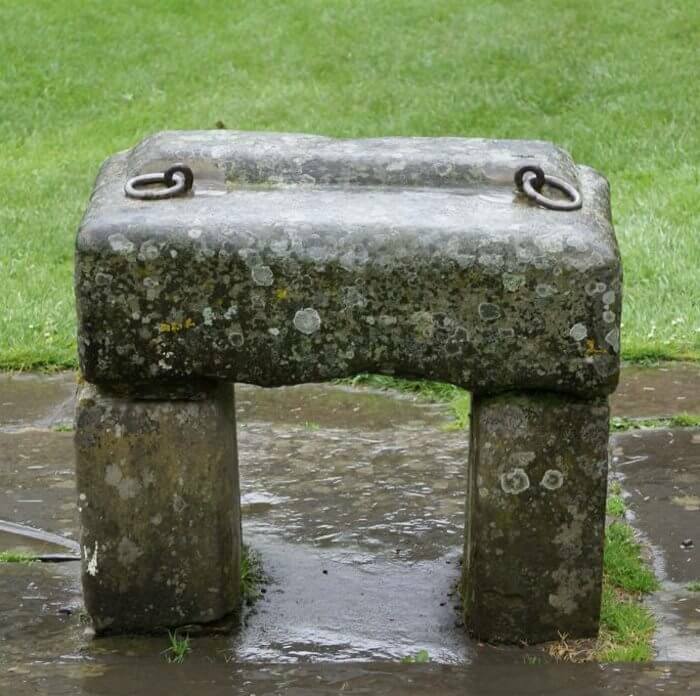 In 1296 Edward I of England took the Stone of Destiny from Scone, Perth, and had it built into his own throne. It has been used in the coronation ceremonies for the monarchs of England and then Great Britain ever since. On Christmas Day 1950, four Scottish nationalist students, Ian Hamilton, Gavin Vernon, Kay Matheson and Alan Stuart, removed the stone from Westminster Abbey in London. Three months later they turned it over it to the Church of Scotland, who in turn surrendered it to the English authorities. It was then returned to Westminster Abbey. The unsuccessful heist re-ignited Scottish interest in the stone and in 1996 it was finally returned to Scotland. In 2008, former First Minister of Scotland, Mr. Alex Salmond made a startling claim that the Stone of Destiny was a medieval fake. This was refuted by Westminster Abbey which said she had always believed the stone was genuine. The stone will only ever leave Scotland for a coronation in Westminster Abbey only to be returned again. The Stone of Destiny is visited by hundreds of thousands of people every year in the Crown Room at the Edinburgh Castle.